Credit represents the ability of a borrower to obtain goods or services before payment, based on the trust that payment will be made in the future. A credit score is a number representing the risk which a borrower presents to a lender, or the likelihood that the borrower will be able to pay back a loan and have the responsibility to do so on time. A quick glance at this single bit of information gives creditors all they feel they need to determine whether you will repay a car loan, mortgage or credit card debt. Your score is a snapshot of your credit report, giving creditors instant signs about how you pay your bills, managed credit over the years, and even whether financial troubles have led you into the courts. Credit scores for mortgage range from 300 (high risk borrowers) to 850 (low risk borrowers), though few scores ever reach these heights. Although several different types of credit scoring exist, most lenders use scores developed by Fair Isaac & Company, Inc., better known as FICO scores. What constitutes a credit score? While credit ratings do not include demographic factors such as gender, ethnicity, nationality, or marital status, they also do not consider other information that may be valuable to lenders such as income, savings, or down payment amount. Instead, credit scores only monitor past delinquencies, irregular payment behavior, debt level at present, length of credit history, types of credit lines, and number of credit inquiries. 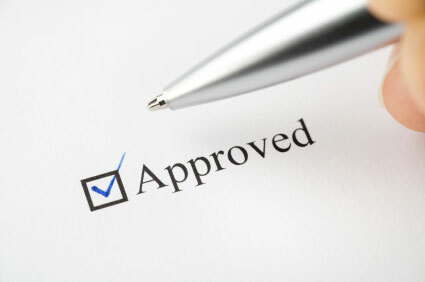 As expected, credit scores typically include both positive and negative information enclosed within credit report. While late payments will negatively impact a borrower’s credit, he or she may raise the credit score by starting or restarting a consistent payment record. A person with poor credit is someone who has been unable to repay their loans, or keep up with their other financial obligations (such as utility bills or parking tickets). People with poor credit are only able to obtain loans with high interest rates or unattractive terms. Bad credit can be repaired over time, if the cardholder or bill payer reestablishes a consistent and positive payment record. In order to achieve good credit, borrowers must not only be able to successfully manage all lines of credit and make consistent and timely payments, but also prove their ability to use credit responsibly. In other words, you cannot have a good credit score if you do not have any credit. Indicating that all high credit scores must be built as the result of diligent payments and smart financial management. In order to establish good credit, borrowers must apply for credit via credit cards, vehicle loans, or home mortgage loans. After being granted credit, borrowers will establish a credit limit, or the maximum amount of credit available to a particular borrower. As a borrower proves himself responsible for managing loan funds by making payments on time and keeping credit card balances paid off, the credit limit increases. Though the credit limit will initially be quite small and larger credit transactions (such as home loans) will be difficult to acquire, over time the limit will increase and allow borrowers to make greater credit purchases. What is required to establish credit? In order to establish credit, a borrower must have at least one account on his or her credit report open for six months or more. In addition, at least one account must be updated within six months prior to receiving a credit score. This information is necessary to establish a reliable reputation and generate an accurate credit score. Borrowers who do not satisfy these guidelines will need to begin to establish a credit history before planning to apply for a home mortgage. How can I achieve a good credit score? Making on-time payments is crucial in securing a good credit score. Despite the amount of debt owed, a borrower’s credit will suffer for each late payment, and frequent delinquencies will require a long recovery. Additionally, keeping credit card balances to a minimum of 30% of the card’s maximum limit can vastly improve your credit. Furthermore, it is advisable not to close unused credit cards when attempting to improve your credit score, since these may actually strengthen credit scores with even occasional use by extending your credit history. For more tips to improve your credit score, read up on repairing and rebuilding credit. Will checking my credit score lower my credit rating? Due to recent policy changes, the negative repercussions associated with credit checks have been significantly diminished. Consumer initiated credit inquiries for mortgage or auto loans are discarded for scoring purposes for a full 30 days, after which multiple inquiries begin to accumulate as negative points. While all credit checks will appear on any given borrower’s credit report, only repeated inquiries over a prolonged amount of time will have damaging effects to credit. Credit scores are always accompanied by a maximum of four reason codes. These codes help to explain the logic behind a borrower’s score by specifying the reasons in which a particular borrower did not receive a higher score. Reason codes also assist lenders in outlining the reasons why a borrower did not qualify for either a loan or low interest rates. 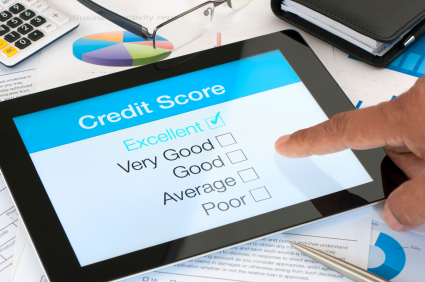 Although these scores involve credit history, reason scores are not included by the Fair Credit Reporting Act and are not part of a borrower’s credit profile. The Fair Credit Reporting Act (FCRA) is designed to help guarantee that the Credit Reporting Agencies furnish businesses with accurate and complete information to use when evaluating your application.